Drs. Akers ,Stohle & Borden have been surgically placing dental implants for over 25 years. They are available for implant consultations with treatment planning, second opinions, and post-implant evaluations upon request. At consultation, They will answer all of your questions and clearly outline our recommendations for your specific needs. They will determine after these consultations if you are a good candidate for dental implants. Most patients are good candidates for dental implants or can be made into good candidates through advanced bone grafting techniques. Drs. Akers, Stohle and Borden will work side-by-side with your dentist to achieve your optimum implant treatment plan. 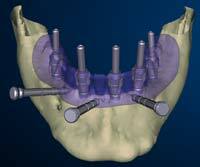 They practice the most current techniques in implant treatment planning. Drs. Akers, Stohle and Borden use specialized on-site panoramic, tomographic and i-CAT CT x-rays to determine whether you are a candidate for dental implants. 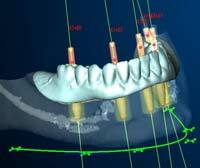 These radiographs measure the bone height and thickness to determine exact placement of each implant. 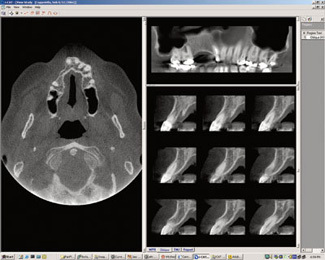 3D i-CAT Scanner, precise evaluation of bone height and width in three-dimensional planes. 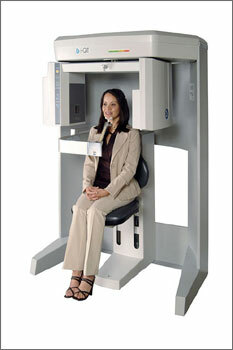 Implant Imaging equipment is conveniently located at our Glenview and Evanston offces. This on-site Panoramic, CMT and Cone beam CT equipment makes it easier to evaluate the patients bone and soft tissue. These additional cross-sectional views allow us to gather important details of bone structure to better predict the outcomes of implant placement. In select cases, with the use of specialized software (Nobel Guide) we can plan your case on the computer before your surgery.